How development of SCM been suspended or dropped entirely? There was a mod like this once. RedAlloyWire I think it was called. In that, one could place the wire vertically and below blocks. That was a great feature! I hope you'll considder adding that to your mod. Thanks in advance. But what with 1.11.2 version? We need it! Is this mod still being worked on? There is still the bundled cable IO glitch and the last update was about 4 months ago. I'm just curious because I really want to mess with it but can't do anything complex because of the glitch. hey does this work with redstone paste? that would be AWESOME! any possible way to port this to 1.7.10? Do you have any idea how hard it would be to convert this mod to work in 1.6.4? It's not worth the huge time sink involved and would be effectively killing off the game. The newer versions aren't as bad as you seem to think. please do it 1.7.10 i would really appreciate it if u did. 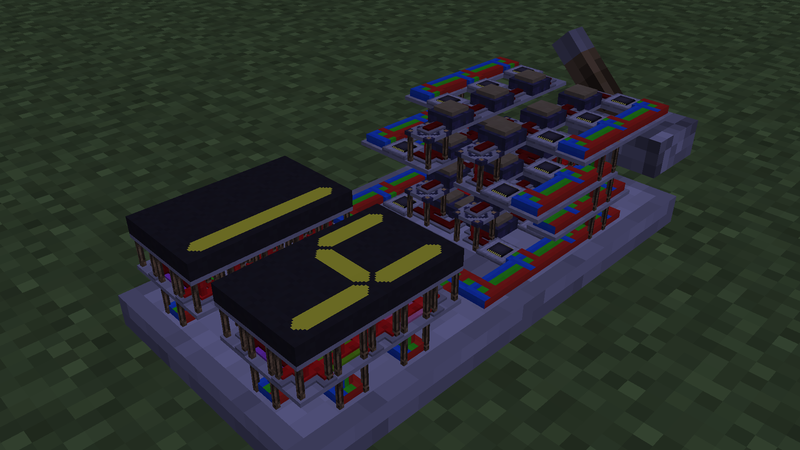 I was bored so decided to make a full adder circuit using this mod compacting as best as I could. White is carry in, Blue is Input A, Red is Input B, Black is Carry Out, Orange is Sum. 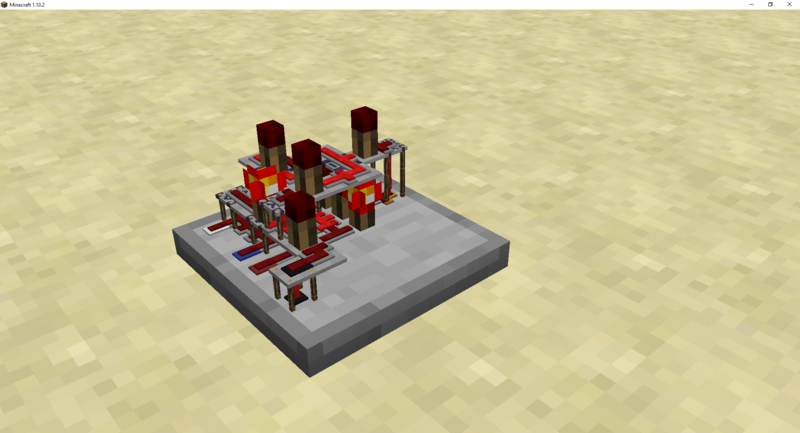 An idea of advanced redstone mechanics. Hope you enjoy! Where can we get pre made circuits that are uploaded with the github thing? I've watch direwolf20 mess around with this mod and instantly got excited. Even though I watched him use it, I never got how some of the things worked, such as the glowstone exciter. I cant seem to find any patterns, And is there any hope for a guide of some sort. I'm currently trying to use it to emulate a pulse extender, for a vacuum hopper. In other words, I'm trying to prevent a set of items from despawning. DW20 has a mod spotlight for it on twitch. Nice. I'd probably use it if A)You could scale the size down further and B)it supported 1.8.9. But as it stands, it looks like a nice thing.